For a price quote, or to reserve a free viewing contact our client support service. Our operators are ready to take your order 24/7 at 020 3746 1366 or online through our reservations form. We are ready to offer you with full outdoors house upkeep services. Aside from employing professional gardeners Tulse Hill SE27 to assist you with your garden and other green areas, our firm offers: roof cleaning, gutter cleaning, window cleaning and also mold and dirt removal from the pathways, driveway and some other parts of your open-air space is thoroughly clean and safe from water damage generated by the dirt gathered on the rooftop or in the gutters. If you want to have the greatest looking garden in the neighbourhood, make sure you request a free viewing and go over your plans, the price and the time it will take right away! We are a reliable provider of garden design Tulse Hill SE27 services providing for local inhabitants and firms. Our landscape specialists can help you with your garden concept planning, as well as with the actual planting and building. We can assist you with any kinds of professional landscaping needs for any outdoor space - from gardens to roof balconies. We can make even the most neglected garden into an awesome outdoors space where you and your family can take pleasure in hours of rest and fun. We will help you make a long lasting feeling on all of your neighbours and those passing through with our concepts and expertise. If you need help with your patio cleaning, driveway cleaning or cleaning up of any other outdoors space, don’t be reluctant to book our very powerful jet washing Tulse Hill service. 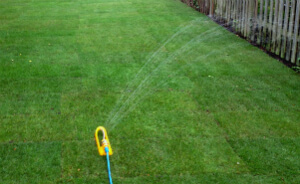 We use pro pressure washing gear; our gardeners are very well trained to deliver quality service at a very good price. Our qualified gardening company in Tulse Hill SE27 has been in the marketplace for TEN years. We always mention that our success is due to the big inspiration we`ve got to advance in our services and to leave all customers satisfied and happy. At this time, expert garden maintenance services have more than 15 thousands of happy clients. This means 15 thousands of lawns kept in proper condition. We do deliver lawn mowing and lawn care - reseeding, patches, fertilizing, watering edging, and also special spring lawn care and autumn lawn care like lawn aeration lawn repair, lawn scarification, and lawn feeding. Notice that Ashlee House Cleaning has no free day when it comes to our efficient gardening services. We can provide you convenient offers for a regular daily, fortnightly, weekly or monthly basis. This is how you request gardening Tulse Hill SE27 services from Ashlee House Cleaning For garden care and reservation information, all you have to do is get in touch with our 24-7 hotline. Either call up 020 3746 1366 or make use of our reservation form. Make a request for a price estimate or for a absolutely free viewing for our gardening Tulse Hill services right now! We have preset hourly based fees. We do provide beneficial rates to our frequent customers, and to nearby property admins and real estate agencies. Our gardeners will arrive, no matter the climate conditions, 365/7. Receive a great discount by booking an additional or more of our services altogether! Order now!